10) Country Bear Jamboree – Frontierland in the Magic Kingdom is home to the popular duo of mountains Splash Mountain and Big Thunder Mountain Railroad which typically have lengthy wait times s they draw big crowds. Guests who are looking to avoid the crowds in Frontierland can instead head over to a wonderful musical show that will surely have them clapping along. 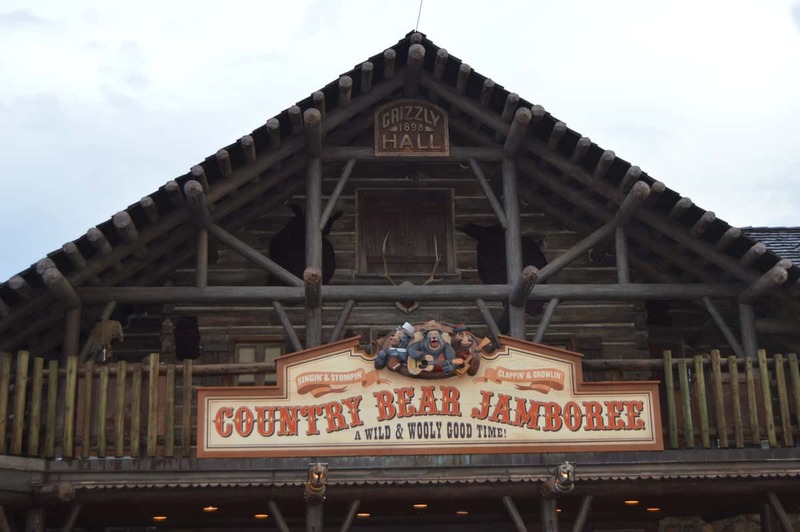 The Country Bear Jamboree invites guests into a rustic theater with four side stages and one central stage where bears of all shapes and sizes are ready to perform. Hosted by Henry, Country Bear Jamboree features country classics with a bear twist plus plenty of memorable moments. Guests love listening to Henry sing “Davy Crockett” and Big Al sing his sad lament of “Blood on the Saddle.” While each number is wonderful, it is the show stopping finale that is sure to amaze guests. All curtains open and the bears come together to perform a catchy number together that guests will find stuck in their heads long after they leave the theater. The Country Bear Jamboree is a great show to experience on any day in the Magic Kingdom and a particularly great one to enjoy on a crowded day.